For your consideration is this vintage toothpick holder. The toothpick holder is made of porcelain, and marked Japan on the bottom. 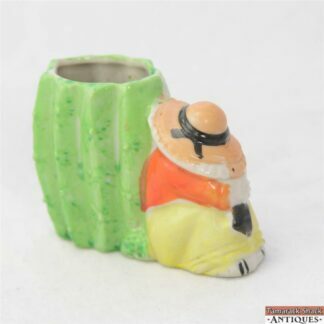 The holder depicts a sleeping Mexican with his sombrero covering his face in a crouched shelter position leaning his back against a cactus. The item measures 2 1/4″ tall by 3″ wide, and the opening at the top of the cactus measures 1 3/8″ long by 1″ wide. 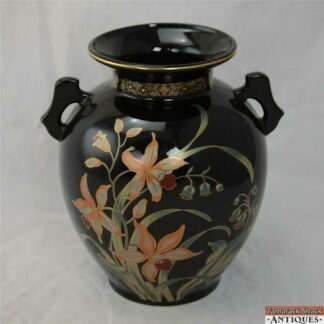 The item is in great condition with no chips, cracks, hairlines, or fleabites. Please see pictures for more detail.